O’Brien’s Irish Independent once referred to Ireland as a “bold child being justly chastised by responsible parents”. We were told “we [had] behaved like the adolescent who throws a frat-house party while the parents are on holidays”. Austerity wasn’t really even about economics, we were actually being taught how to “behave like a normal country”. The Irish Examiner even promised us the mystical Troika would “restore [our] sanity”. And restoring sanity is a useful thing, particularly when a public is as “angry” and “irrational” as ours. This angry populace is a permanent feature of political journalism, increasingly so around election time. Sometimes of course, this “anger” is ‘justifiable’, ‘understandable’ or ‘righteous’, but — so far as the press is concerned — it is always irrational. And a state cannot be dictated to by those without the ability to engage in “reasonable discussion”. Which makes the recent arrival of a “sinister fringe” all the more understandable. 4 weeks ago 150,000 people, across Ireland, marched. They marched for many different reasons, but were united on one issue — objection to the introduction of further austerity measures in the form of a water tax and the establishment of a semi-state utility, Irish Water. Like the household charge before it, the Government’s latest austerity measure has been greeted with widespread civil disobedience. And like the household charge before it, a campaigning effort by the press to smooth the path for this Shock Doctrine-esque policy has been widely rejected by the public. Initially at least the press reported the widespread protests relatively uncritically (despite one story listing the planned locations and times of protests below details of an alleged firearm incident related to meter installation). However, coverage of the movement has soured of late. Even those columnists that are relied upon to discard the establishment hymn sheet, have taken to joining in the chorus. In the midst of a mass mobilisation, the likes of which hasn’t been seen in decades, the press has drawn microscopic focus on a single brick†. This brick was a god send to the commentariat. The question of how to deal with a public that was neither ‘angry’ nor ‘irrational’ was slowly dividing them. The “howling” “mob” however, an unthinking mass, hurtling without purpose or direction, is something that could unite them. The “charade” of peaceful protest could finally be exposed. Politicians and the press have, for the most part, been in step since the beginning of the protests. 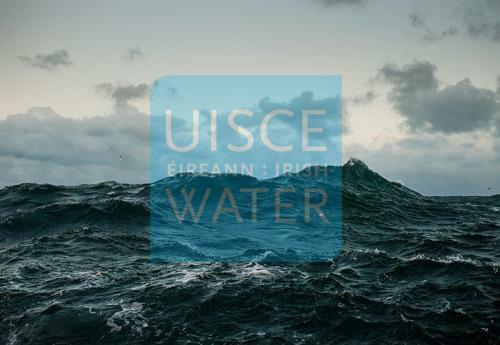 Those who objected to Irish Water were branded “a different category of people”, wallowing in a “pool of disaffection”. From very early on there were numerous attempts to cast protesters as ‘fringe elements’, implying ‘infiltration [by] dissident republicans’. There were also claims that violence had increased across the state as a direct result of protests. As the protests gathered pace the claims became even more wild. The movement had been co-opted by leftist “lunacy”; radicals looking for “a decent riot”. But the Jobstown protest was really the turning point. The “anarchists, extremists and all-round loonies” of the movement where now somehow being simultaneously compared to Ebola and ISIS. The rhetoric reached a crescendo when a protest group in Jobstown, Dublin, obstructed Taniste Joan Bruton for 2 hours as she left an event. The Irish Examiner claimed Ireland’s “drift from democracy”, which “has seen a Taoiseach condemned by a tribunal, corruption rewarded with bailouts & a public left to foot the bill”, had “peaked when a TD was “prevented from going about her business””. A fragile democracy we must have, that could see a single “frenz[ied]” “mob” — even one that “barricaded” a politician in her car before “attempt[ing] to overturn [it]”§ – pull the constitution out from under it. But the condemnation didn’t stop there. The Irish Examiner referred to a water balloon that had been thrown at Joan Bruton as a water “bomb”. The Irish Times summed up the events as “rampant law breaking and thuggery”, which only “encouragem[ed] mob rule”. This “fascist intimidation”, according to the Irish Examiner, signaled the “first step towards an atrocity”. The hope was and is, in both government and the press, that “the [latest] concessions, along with the smears, will fracture the protest movement”. And, in turn, that will weaken “public confidence in the water protesters” — better the public be “confused and frightened” than angry. Yet while this sit down protest generated much heat, there was little light shed on events just a week earlier, when the Irish Independent published a video of “Gardai [being] forced to physically restrain protesters”. The footage included images of multiple women being thrown to ground, and a total of no examples of Gardai being attacked or under threat. When heavy handed Garda tactics did eventually make it into the press, the Irish Independent managed to spin — the throwing of a woman into a concrete bollard — into a more palatable headline: “The tall guard in black saved my life”. The Irish Times claimed “persuading the public that this is necessary has been complicated by [a] series of political errors”. Rather than the inequity of an economic system that invests such political and economic capital in gouging the public for further taxes and public services cuts, while simultaneously writing blank checks for banking and property bailouts, what the public are really interested in is clear evidence of “efficiency and value for money”. “paying for water offends something deep in the Irish psyche. Living in a country where it rains so much, people find it hard to accept the notion of paying for water”. No government “was ever going to have it easy when it came to making people pay for something that has been supplied free to urban dwellers for generations”. However, when the press did actually engage with the public on the issue, they found a slightly different story. The public responded to this assumption — that they thought water magically found it’s way into their taps, clean and chlorinated (expect where it’s contaminated with cryptosporidium) — by noting they are fully aware they are already paying for it. The press was in step with government as it attempted to address this communications problem, with prominence devoted to headlines like ‘New Irish Water directors to face ‘elevated’ criteria’ and ‘Irish Water should not pay bonuses, Brendan Howlin says’. And when the Government finally unveiled their redrafted policy on water taxation many in the press decided the fun was over. The time to address “our fiscal obesity”‡ is nigh. The public’s concerns had been put to rest, the minister in charge, Alan Kelly had, second time round, been “remarkably clear and comprehensive”. One journalist on Twitter asked, incredulously, whether it really was “possible the Government has actually learned something?” Before the Irish Times later confirmed, yes, the government had listened and learned, “there is no doubt about that”. With that, the Irish Independent called time on the “water charges debacle”. The problem has been resolved. The public should return to their boxes. I’m not entirely convinced that’s it though. And I’m not sure the press is either. There is a sense of wishful thinking in the face of unpalatable realities about much of the press’ post-Jobstown post-Irish Water 2.0 discourse. As one Irish Examiner writer recently put it, “the politician, the bishop, and the newspaper are much-diminished sources of authority”. The scandals, crimes and blunders of the past decades have stripped away any veneer of establishment credibility. The nexus of power in Ireland sits more exposed than ever before. And this poses questions for the press that it has been unwilling to ask or answer. For instance, GMC Sierra, the company appointed to install water meters, is owned by Denis O’Brien, who, while being a major shareholder in INM, we are assured by Sunday Independent editor Anne Harris, “does not control it”. Yet, despite the fact he has no controlling authority, should this relationship not pose serious questions for INM’s coverage of the protests and the policy decisions? Why is it that the press does not feel compelled to declare any and all potential conflicts of interest in it’s reporting? We might, though it would be sacrilege, ask the same question of RTÉ, the state broadcaster. But, in spite of all these challenges, the public has found it’s own voice. If nothing else, this has proved once and for all, we do not need the press to lead or shape public opinion. In fact, independent public opinion exists in spite of media attempts to lead and shape it. The public is no longer subject to the false illusions of the establishment. The public understands that it is it’s own reality, not the one presented to it on the evening news or morning newspaper. We’ll find out on December 10th whether the press has again failed to “shape our perspectives”. * Of course ‘the press’ wouldn’t be complete without mentioning Landmark Media Investments Ltd, owners of the Irish Examiner, or the Irish Times and the Sunday papers. † Yes the Irish Independent really did photoshop an image of Joan Bruton into the path of the brick, despite the fact she had left the area before the brick was thrown. § The source of this claim has been asked to provide evidence to support it, but none has yet been given. ** The section beginning ‘journalists respond by saying’ is an amalgamation of a number responses we have received from a number journalists, it is not a direct quote. And, it clearly wasn’t intended to appear to be one. I don’t see the share on Facebook image. You could make it a bit easier for us, no? Where to start on this nonsense? Naturally there are those who will lap this rhetoric up because of their pre-disposed persecution complex but the reality is somewhat different. I’ll pick out just a few choice blunders in this, which feels a bit like shooting fish in a barrel. First of all “you can’t talk about ‘the press’ as if it’s a collective entity, ‘the press’ is made up of thousands of people and hundreds of organisations, with a diversity of politics and agenda” is presented as a quote, but with no source, and none available via google. Secondly, many of the articles cited in this piece are opinion articles, and clearly marked as such. There are plenty of counter-commentaries that this author chose not to link, again, because it doesn’t fit their conspiratorial narrative. Other links go to blogs which support this author’s views and are not evidence supporting his views. “And like the household charge before it, a campaigning effort by the press to smooth the path for this Shock Doctrine-esque policy has been widely rejected by the public.” – Zero evidence. “The “anarchists, extremists and all-round loonies” of the movement where now somehow being simultaneously compared to Ebola and ISIS.” – the words of a politician, not the media. “The rhetoric reached a crescendo when a protest group in Jobstown, Dublin, obstructed Taniste Joan Bruton for 2 hours as she left an event.” – it’s widely accepted that she was hit by a water balloon, and her car was impeded for 2 hours. If someone for whom the author was sympathetic was subjected to this they would be greatly offended. The Irish Examiner referred to a water balloon that had been thrown at Joan Bruton as a water “bomb” – a laughable attempt by this author to accuse its target of exaggerating an event when he himself is guilty of it on this occasion. This attempt to accuse the media of exaggerating the situation is in itself an exaggeration. “Water bomb” is a term that has been used by children by generations. Google “water bomb” and see what you get. “the press engaged in damage limitation on behalf of the government” – anyone in politics would laugh at such a line. This author seems to fall into the same old conspiracy theorist trap of thinking of journalists as part of some elite mob who don’t pay taxes or struggle like mortgages like the rest of us. Take off the tinfoil hat. Detail all the counter evidence. There’s handfuls of it. Kerrigan, Browne, McCann, Waters, O’Toole, much of it either leans towards ‘communications problem’ explanations or turned on the protest after Jobstown. Fantastic how the press can just label something ‘opinion’ and then simply disavow its role in influencing public discourse. I’ve added a note to clear up your manufactured outrage about something that clearly wasn’t a quote (and logically couldn’t have been). Wow enda k I’m surprised you took the time to read this never mind reply!! Lol we’re coming for ya…. Where to start with your nonsense? 1. The media is overwhelmingly dominated by O’Brien, and this is why there is so little analysis of the corruption involved in the award of contracts and the bigger agenda with Irish Water—Remove your blinkers. 2. To describe the overwhelming propaganda that passes for “news” or “informed comment” as merely “opinion” pieces demonstrates that (a) you have no idea about how media conveys “the message”; and (b) it is to willfully ignore the overwhelming bias of said “opinion” pieces and the spin that they give. The overwhelming majority of the media in this country acts as propagandising mouthpieces for the government and the state apparatuses. If you are so convinced that there is a balance, prove it—show the links. You won’t because you can’t. (Regarding the “Shock Doctrine”, you can’t have read it, you should.) 3. While I hold no truck with water balloons, or vile misogynistic abuse being hurled at anyone—the overblown media reaction was beyond ridiculous and in no way balanced by acknowledging the deaths, deep fear and misery that have actually been caused by “austerity”. How about that perspective on the Jobstown incident? How about that perspective at all? Far too many of the “journalists” and writers writing, and producing news content for the mainstream media ought to be ashamed of themselves. They have been covering themselves in something that is the opposite of glory! I would also remark that while there are a, very, few good ones there wasn’t a peep, from even the IT or Examiner when Gemma O’Doherty [one of the few “good ones”] was “let go” from the Indo for actually investigating the removal of penalty points for both Callinan himself, as well as Rea the managing editor of the Indo group. Only the Phoenix and Guardian reported it. How’s that for some journalistic integrity and collegial solidarity? 4. Finally, there was nothing in the blog that made the claim that you assert it does. The fact that journalists pay taxes and mortgages like the rest of us, doesn’t mean that they are not involved in the most repellant spinning on behalf of a beleaguered government—anyone who would deny that what passes for journalism in the media in this country is barely disguised propaganda that serves to shore up inequity and the status quo is is either willfully blind, or incapable of discerning reality. Or lying.